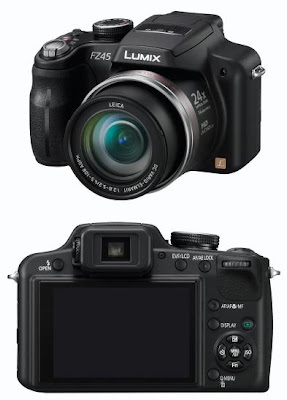 I've been thinking about buying Panasonic LX3 as my second camera to accompany my powerful long zoom HS10. I plan to use the LX3 more into certain specific indoor use due to the fast and brilliant Leica lens that comes with it though maybe I will take it out once in a while. "To be fair, there aren't that many ways that you could improve on the LX3, apart from halving the price. Nonetheless, the new lens has 30mm longer focal length but is still very fast with a maximum aperture of f/2.0 - f/3.3 (the LX3 was f/2 - f/2.8), and the new sensor has larger, higher quality micro lenses and larger, deeper photodiodes, for which Panasonic claims 31% greater sensitivity and 38% better colour saturation. It has an improved AF system which is supposed to be 40% faster, and the new Venus Engine FHD processor looks pretty amazing too, with three CPUs. Panasonic claims it has improved noise reduction and a 0.007-second shutter lag. In terms of handling, the body is about the same size, but the grip has been improved, as have some of the controls, and the monitor screen has an anti-reflective coating. Personally I'm pretty excited by it, and can't wait to try it out." And I personally agree to his statement as the Panasonic LX3 is in fact an already brilliant advance compact camera. - F/2.0 LEICA DC VARIO-SUMMICRON Lens with 24mm Wide-Angle with the optical zoom now extends from 24-90mm or about 3.8x zoom (up from the current 60mm in LX3 - about 2.5x I think). - Record 720 fps video using the AVCHD-Lite format. When you compare to the previous LX3 specs, in fact the internal changes is not that much but there are probably the most important part. I'm glad that Panasonic decided to still stick with 10 MP maximum resolution instead of jumping to 12MP, 14mp or maybe 18MP for the sake of making an "interesting news headline" which could later turned into bad publicity. Even Canon decided to only have 10 MP for their G11 flagship in this league and there is a reason for that - G10 apparently being criticized badly for it's low image quality despite boasting 14 MP maximum output. There is reasons for that (Panasonic stick with 10 MP for the LX5) decision and I personally think that it is a step in the right direction. 1 that I could think off is maybe due to the small image sensor size. You can view this diagram created by the good people in www.imaging-resource.com and you can basically see the size differences between the sensor used in the super zoom digicam (and also by some other compact point and shoot digicam) and the one used in the DSLR camera (Canon) and those used in the old full frame film SLR camera. Though I don't much about the internal changes and what result it will delivers but by looking at the external part of the LX5, I personally like the "wheel thingy" presumably for adjusting the shutter speed and aperture when composing the photo in Manual mode and possibly also useful to navigate the menu and selections - replacing the previous "joystick" style system used by Panasonic - that is quite in fact is one of the main factor for me to wait for the LX5. The old "joystick" method is not bad by any means, I am a user of Panasonic FZ28 in the past, it's quite good but after I using DSLR camera and get used to operating the wheel thingy to change shutter speed and aperture quickly - as well as to navigate the menu and selection quickly... I think this is another good decision from the Panasonic designing team. I just thought that if - and only if - Panasonic include an optical viewfinder like Canon always did on their G11 and all of their G series - I'm sure it will generate more interest than it's already have - especially those expert photographers who always in favor of the TTL Optical Viewer rather than EVF or LCD. And Panasonic seems to start copying Canon now by producing 2 grade of new camera in the same super zoom/bridge/hybrid class be introducing Panasonic Lumix DMC-FZ100. Canon have their SX1 IS and SX10 IS - an almost identical superzoom digicam with SX1 IS have slightly a few more additional features (and higher price) including HD Video with stereo sound but both have that articulated LCD screen anyway. Panasonic now intends to do the same. The FZ45 is the successor of FZ38/35 - and the FZ100 is to compete with the slightly higher grade Canon SX1 IS - in other way, creating some sort of "high class" super zoom bridge/hybrid digicam and "standard class" super zoom bridge/hybrid digicam. You need to read the spec to really see the differences between FZ45 and FZ100 - but from my personal observation - it's just a few things here and there - the most obvious (externally) is that articulated LCD screen and surely the price. While the FZ45 and FZ100 will surely out of the contention as we don't mind to stick with Fujifilm HS10 for long zoom purpose (at least for now) - but the target for our 2nd camera is now between LX3 and LX5. Visit Panasonic UK website for further information on their latest offering in their Lumix camera division. Thanks for the info, planning to change my point-n-shoot maybe around next year. Mind telling us the P&S model you are using now? Currently I'm using a Samsung ES17 digicam. It's an OK only model (not too expensive and easy to use AND using AA batteries), good for beginners. I'll keep those in mind. To be honest I don't remember the price for LX-3 drop before. Lately I went to Funan IT Mall and the price remain the same.